The Bayview 2. 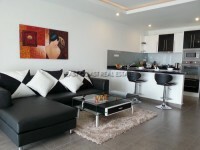 This low rise condominium is located on Pratumnak Soi 5. This cosy condo unit on the 2nd floor has a living area including the balconies of 152m². The unit is very nice and quiet; it comes fully furnished with good quality furnishings. All rooms have air conditioning. The bedrooms have en-suite and a built in wardrobe. The living room is large and has a fitted European kitchen. Facilities of the building: 24 hour security guard, key card access, communal swimming pools, sauna and Jacuzzi. Available for rent at 37,000 Baht per month exclude all utility bills. Living area : 152 sqm.